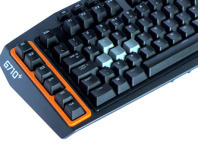 SteelSeries is back with a new flagship keyboard. This time, it offers rather funky lighting, QX2 switches, and an aluminium case. It also can react to Discord! 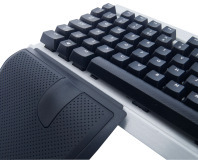 Cooler Master has decided to hit the keyboard enthusiast market with thick PBT keycaps, Cherry Green switches, and minimalist design. We got our hands on both the full-sized and TKL versions. 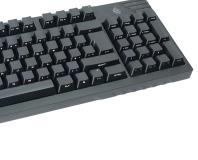 Cooler Master's latest mechanical keyboard is compact and stealthy. Corsair's low-cost, numkeyless mechanical keyboard is superb. 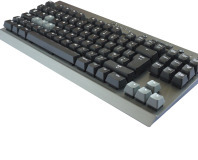 Cherry has announced a new budget mechanical keyboard available for £65. 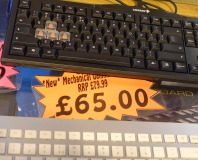 Logitech finally enters the mechanical key gaming keyboard market. Corsair's first ever gaming keyboard is a desirable piece of kit - we show you why.